Almost four years after the original Empire Diner closed its doors and many other occupants later, Amanda Freitag threw open the doors again and brought life back to the diner on the corner of 22nd and 10th. Even though the newest operator of the iconic neighborhood spot left the outside facade somewhat untouched, the inside received a much needed updated and is accompanied with a brand new menu. 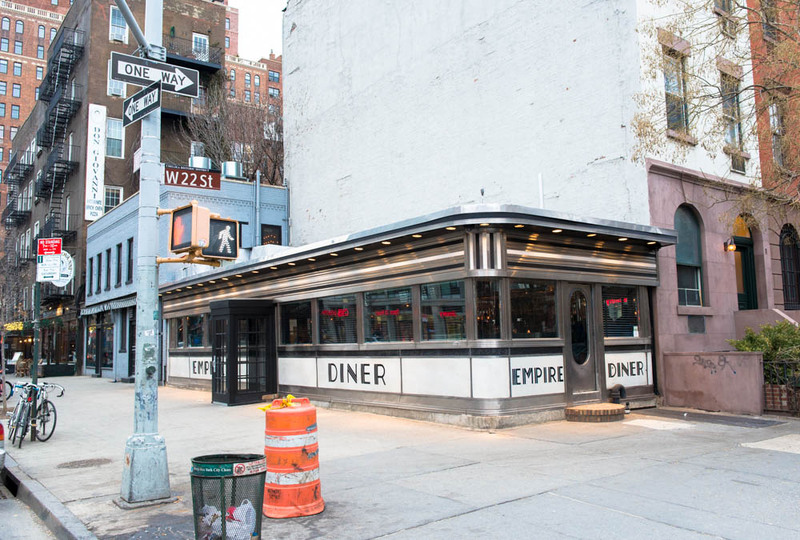 I will confess that I never had the fortune to dine at the original Empire Diner but the new menu along with the initial opening buzz intrigued me enough to stop by one Sunday night. One meal was really all it took for me to come back the following Sunday, eager to explore more of the menu. The offerings here are pretty straightforward but draws inspiration from the beloved New York diner and other New York specialities. On my first visit, ever the buffalo wing enthusiast, I insisted that we include the buffalo skate wings in our order. 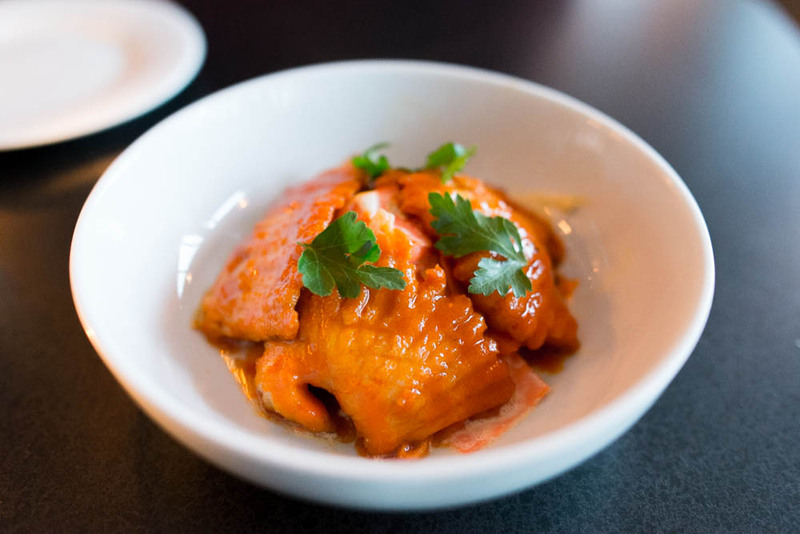 Instead of the usual boned affairs, the new upscale take on the bar staple comprised of three pieces of skate wings enrobed in a mildly spicy buffalo sauce on top of thin ribbons of celery and carrots and a creme fraiche. I say mildly with only a tiny tinge of disappointment only because this way at least I can share this now with many who aren’t so fond of tongue burning levels of heat. If only the skate had been just a little bit crispier or the creme fraiche a little more tangy, then I would have been able to get behind this reinterpreted dish 110%. 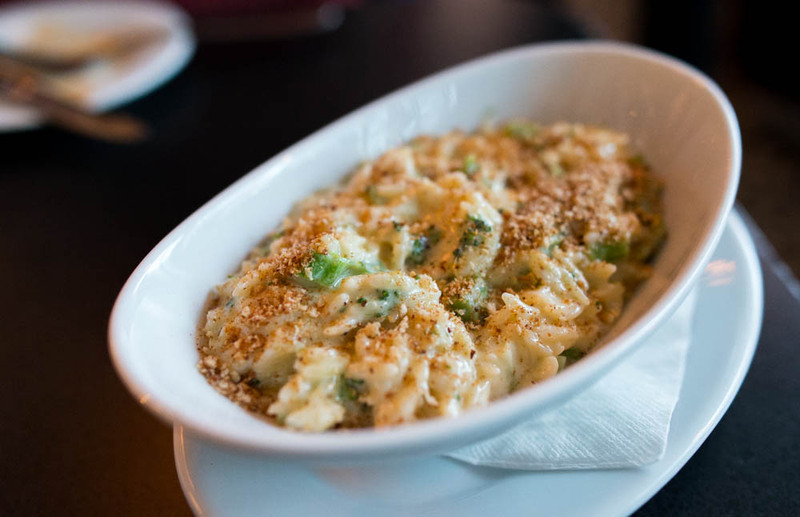 The creamy orzo “mac n cheese” on the other hand was a dish that re-emerged perfectly if not better than before. Finished off with parmesan and black truffle butter, the little bits of rice shaped pasta were held together by a cream sauce and studded with broccoli florets. Now this is a sure fire way to get a child, or anyone for that matter, to eat more vegetables. I am a real sucker for chili cheese anything these days so of course I had to get the Empire Diner’s version of the classic during my second visit. 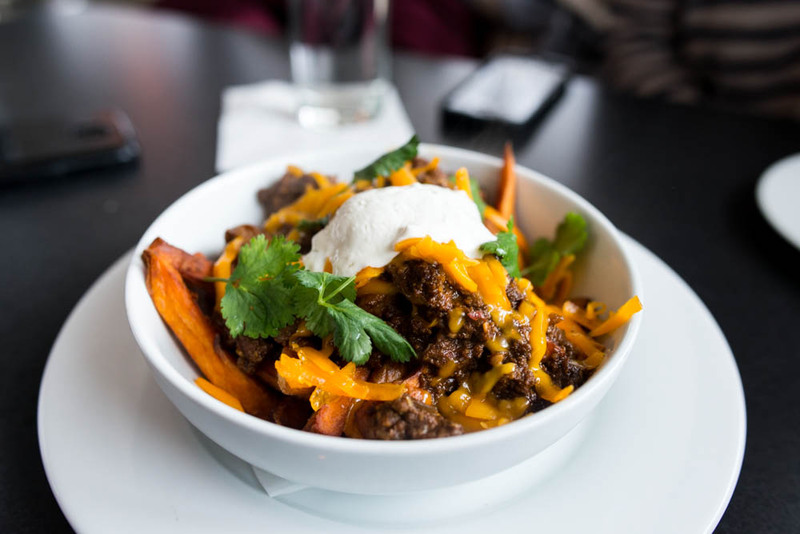 Instead of regular fries, the chunky chili, lime crema and salsa verde were ladled over sweet potato fries. 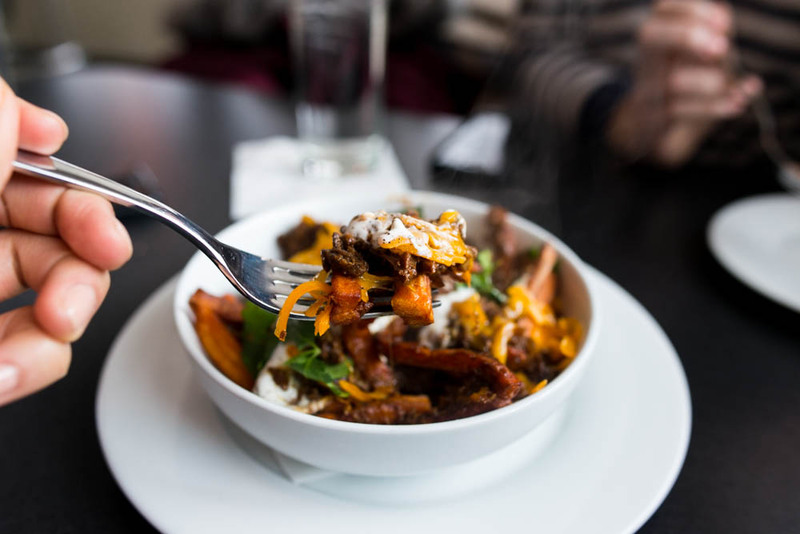 I personally loved the substitute and any way to make this just a little bit healthier will only go further to justify adding the messy bowl to any future visits. 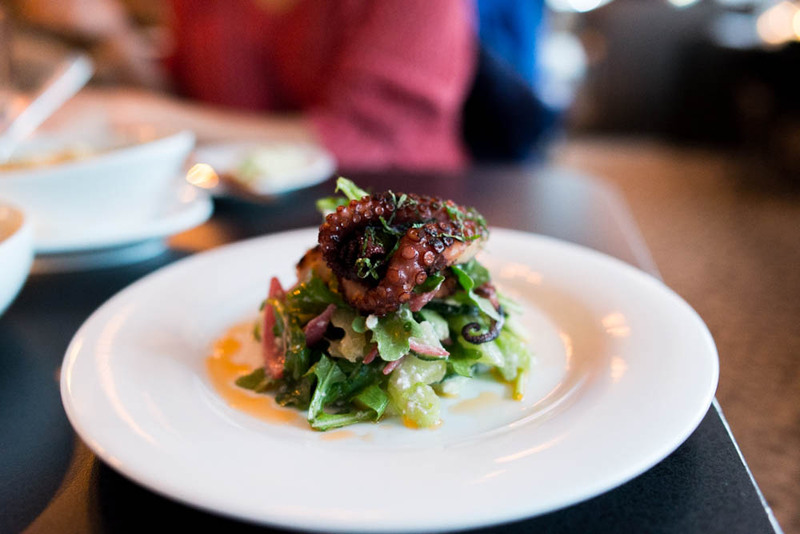 For a lighter appetizer, I decided to try the charred octopus “Greek salad”. While it was nice to get a reprieve from the other rather heavier appetizers, the salad didn’t have as much to offer and left me wondering what happened to the mint and the feta. The takes on old classics continue into the entrees and two must tries are the lemon chicken with ricotta, charred lemon and carrots. 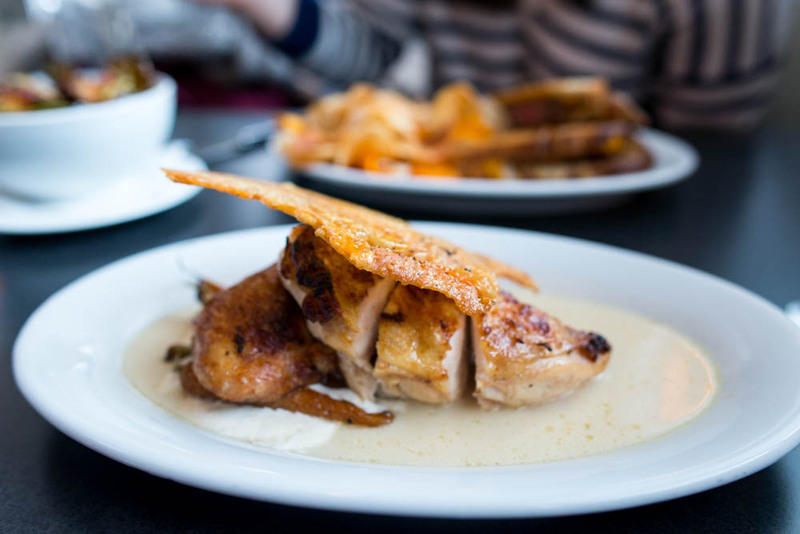 The flavorful half chicken was topped with a thin crisp sheet of crunchy crispy chicken skin that made me wish that I could have an entire basket of it. A squeeze of the lemon to impart a little bit of smoked flavor, this was gone in a New York minute. 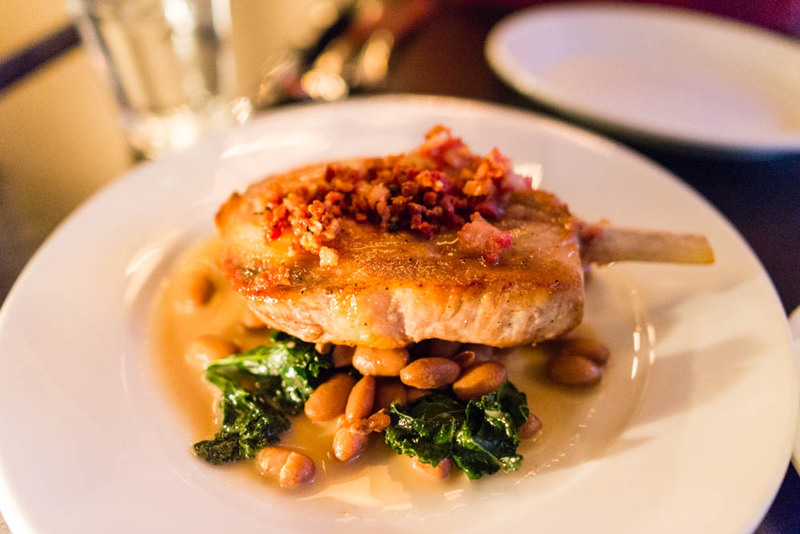 And the pork on pork chop? There is nothing that can be made worse by adding pancetta on top. What made it even better was a perfectly executed piece of moist pork chop with caramelized edges. For something unconventional, the oyster pan roast was a great choice. 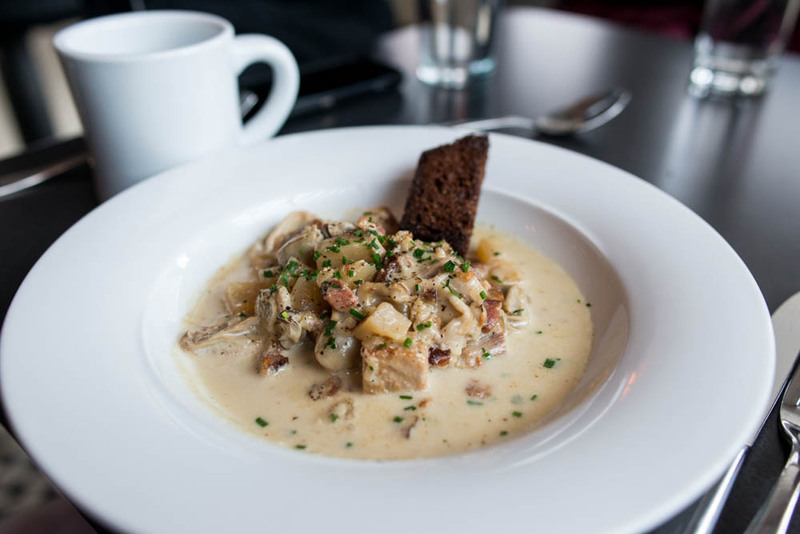 The pan roast at Empire Diner included fatty pieces of pork belly and tender pieces of oysters for a little surf and turf combination and was much lighter than other pan roasts. Just in case you were in the mood for something more classic, there was a section in the middle of the menu featuring old favorites like pancakes and burgers and grilled cheese. 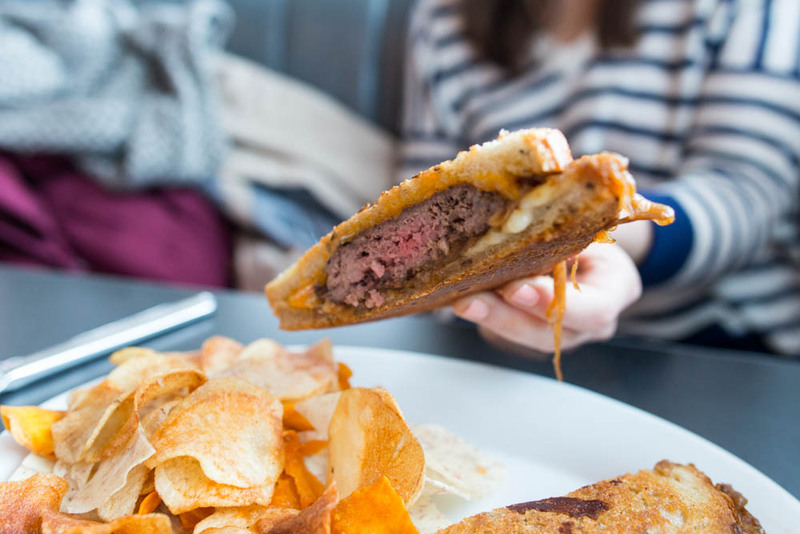 Also included was a well executed patty melt with caramelized onion and swiss on rye. One bite and it made me wonder why is it that I can never get that amazing crunch on my grilled sandwiches at home. During both visits, only one vegetable graced our tables. 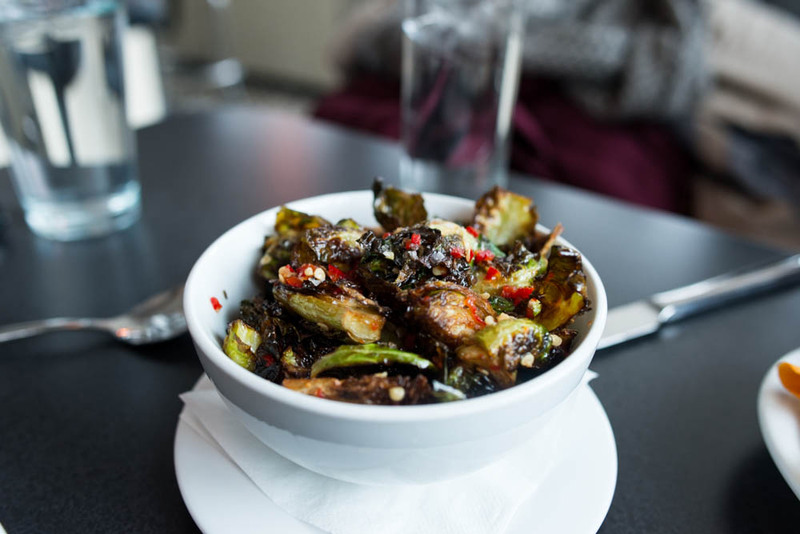 That’s right, the overexposed brussels sprouts. But who cares about overexposure when it tasted this good glazed with chili jam? What sealed both of my meals here so nicely were the desserts. The lighter of the two that I was able to sample was the freshly made doughnut holes. 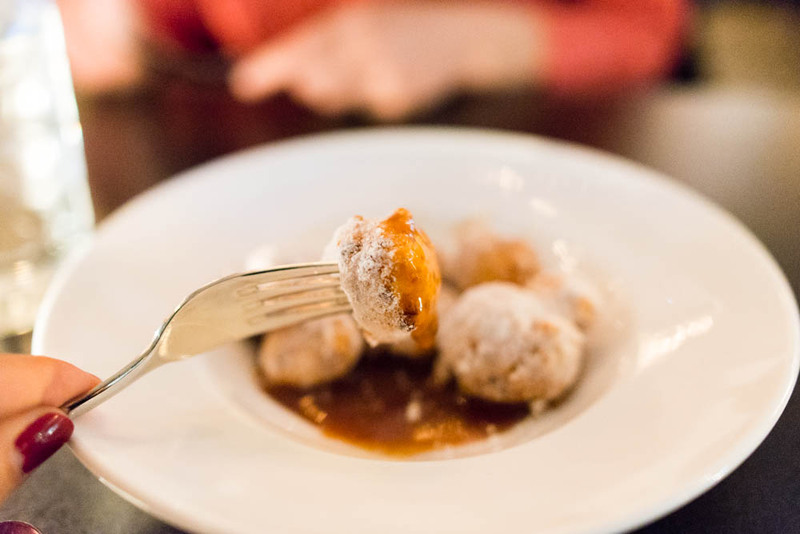 Light and airy, these were tossed with powdered sugar and came with a beautifully rich yet light caramel sauce that I wanted to lap up with a spoon. The impossible cake was definitely the most unique dessert on the menu. 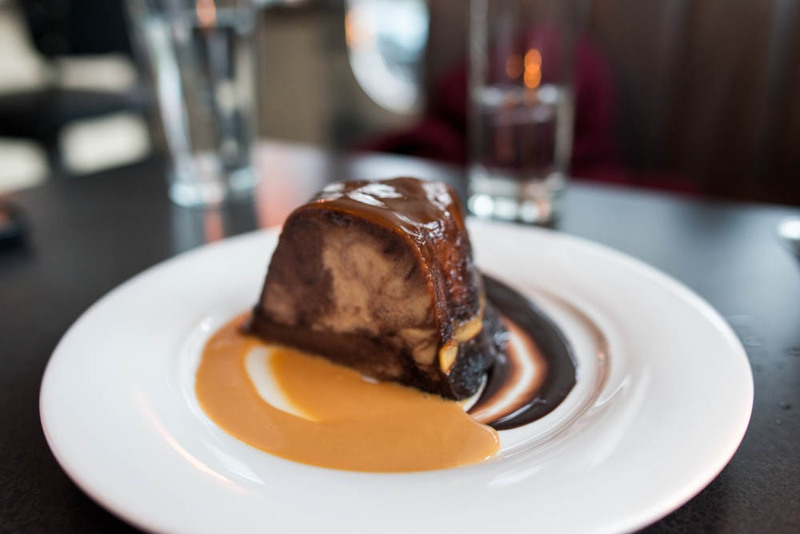 Flan and chocolate cake were merged into one dense yet light bundt cake that was in parts dense and chocolatey and in other parts light and creamy. Just looking at that beautiful marbled slice made me wonder how this was possible – impossible perhaps indeed! 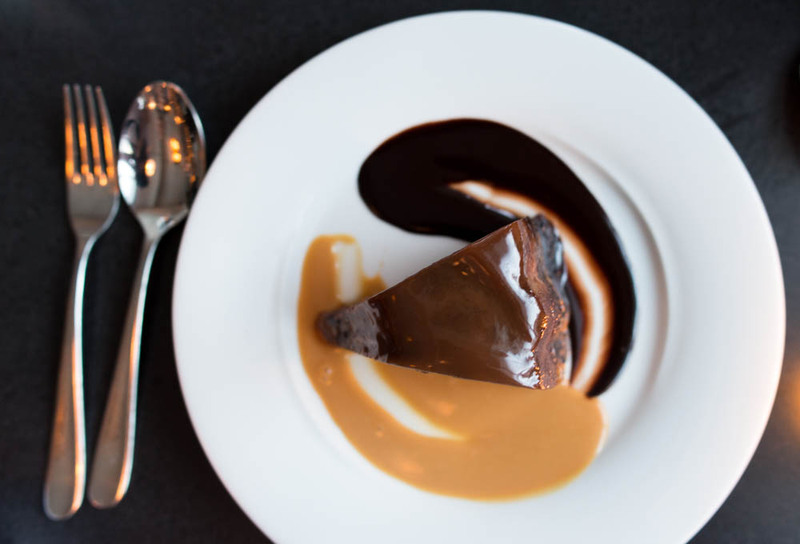 Even though Amanda Freitag’s Empire Diner might share its name and location with the old classic, the menu has clearly a few fabulous standouts that makes it worthwhile to revisit time after time again. Who knows, this new kid on the block might just turn into a classic in its own right one day very soon with its modern takes on classic comfort foods.